I am SO excited for this U2ieTour Chicago trip! Not only do I get to spend 10 days in one of my favorite cities, but I get to see five U2 shows! In my 23 years of U2 touring, I have never seen five consecutive U2 shows in the same city before. Add to that, finally meeting other fans who I’ve been talking with online for months and reconnecting with old friends and new ones I just met this tour. I’ve said it since the tour was announced, my time in Chicago is going to be epic! I leave my house tomorrow morning (Tuesday June 23) and land at Midway at 12:30 cst, and after only a two hour flight (and this time not a flight at dawn). Unfortunately, I have to check a bag (and I NEVER check bags, ever!) so I will have to wait for my luggage before getting my airport shuttle to my hotel. I figure I’ll be checked into my room at Homewood Suites by 2 or 3pm at the very latest. I’ll unpack and organize my stuff (this may take a while since I’m staying for 10 days) before getting some groceries – luckily I have a full kitchen. I will just stay in my room Tuesday evening and rest up for the epicness that will be U2ieTour Chicago. Wednesday and Thursday, June 24th and 25th, are the first two shows in Chicago. I am going to get to the United Center by 2pm at the latest to wait for U2 to drive in and hopefully stop and greet the fans. All I want is a picture with Larry, since I’ve never had that in 23 years. 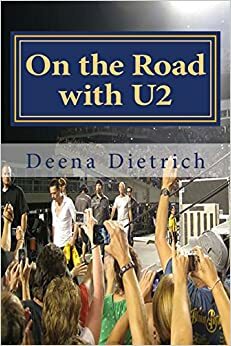 I was so fortunate in Denver to talk with Larry and Bono about my book, had them autograph my book, and gave Larry a copy of my book. Once I get that selfie with Larry, I will step back and just take pictures of everyone meeting the band. I will try to periscope some of the second show as I will be way too excited during the first show. We have planned to have Fan MeetUps at Aberdeen Tap after each concert, but I am not sure I will make it every night. I will most likely be there after the show Thursday June 25th. Sunday June 28th and Monday June 29th are the next two U2 shows – Chicago3 and Chicago4. I will most likely do the same as I did for the first two shows – arrive at the United Center by 2pm to wait for U2 to drive in. Although if I finally get my picture with Larry Wednesday or Thursday, I will have no need to meet the band again Sunday and Monday. But there will be a different group of fans than were there for the first two shows, so it will still be great to hang out with everyone. I will try to periscope some of the Monday night show if I can, and I will also try to make it to Aberdeen Tap after the show on Monday. There are no U2 concerts the next two days, Tuesday June 30 and Wednesday July 1. I will be working from my hotel both of those days. I might plan an little impromptu happy hour Fan MeetUp Wednesday July 1 at Fados Irish Pub (on W Grand) around 6pm. 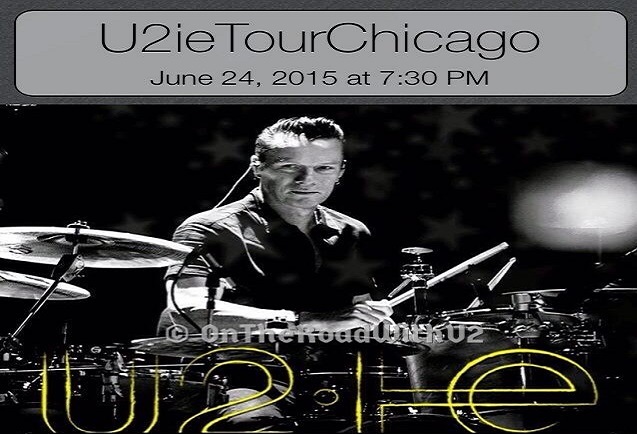 Check our U2ieTourChicago facebook group for updates and details. Thursday July 2 is the fifth and final show in Chicago. This one is sure to be magnificent, or dare I use the word ‘epic’ again. Possibly maybe even the same surprise off The Joshua Tree that we had at the 360 show on July 5, 2011, since the anniversary that song honors is the same week. July 2 is also the four-year anniversary of the great 360 show in Nashville. In any case whether I have gotten my picture with Larry or not, I am definitely going to be at the United Center by 2pm to wait for U2 to drive in if nothing else, just to say “Thank you.” I am not sure if I will be at Aberdeen Tap after that fifth show. You might have to wipe me up off the cement after the show. The next morning I leave for home, but not too early. The airport shuttle is picking me up around 10:30am. Hope to see you in Chicago, but if not I will be tweeting and posting events (with pics and vids) as they occur, and as I did on the 360 Tour I will be blogging the day’s events each night (not waiting until I get home like I did after Vancouver and Denver). Look for a full recap of my travel, fan meetups and the concerts each night (or the next morning depending how I late I write it.) I will try to periscope when I can.